Throughout the decades, many men have been crowned Mr. Staten Island. Some became national names, others local Island legends. In 1987, an individual stepped onto the physique stage whose popularity was high amongst his friends, peers, and the local Staten Island muscle scene. This man of iron trained relentlessly for one year in the gym and with one goal in mind – to become Mr. Staten Island! When he stepped onstage that historic night, you knew he was the winner long before the awards were presented. By the end of the show, he had out-muscled all those that dared to challenge him. As he raised his arms in a victory salute, he received cheers of approval and acclamation along with a standing ovation. However, more importantly than winning the title that night would be the example of honor and bravery this modest champion set forth when it counted the most. I remember first hearing about the events of September 11th from my fiancée, Aida. She worked in lower Manhattan and was getting off an express bus just outside the Brooklyn Battery Tunnel that morning when she saw people running through the streets as tiny silver pieces of metal streamed down from the sky. At the time, she did not realize what was happening and frantically called me from her cell phone at 8:53 AM to tell me what she was witnessing. Immediately, I turned on the TV and to my shock saw a tremendous dark hole filled with flames and smoke in the North Tower of the World Trade Center. I advised Aida that it was a terrorist attack and that she should quickly go to her office, which was several blocks away. As the events unfolded that morning, I shockingly watched on live TV the second attack on the World Trade Center, as well as the destruction to the Pentagon in Washington, DC, and the crash of Flight 93 in Pennsylvania. I remember standing outside my house and seeing this long thick line of black smoke pour into the eastern sky as I heard the thunderous echo of the South Tower come crashing down. It was a horrific morning that served as an awakening for America as it became very apparent that we were no longer safe in our homeland. That fateful morning in American history saw the best and worst of humanity, as thousands of innocent souls were lost that day. Afterwards, millions of people would live in fear, not knowing what was to come next. For Staten Islanders the pain was all too real. Hundreds of Islanders went to work on that sunny Tuesday morning, just like any other workday. They had plans and dreams about their futures and looked forward to many tomorrows to come. However, for many of my fellow Staten Islanders, tomorrow was not to be as the toll of that day became very apparent by nightfall. The days after September 11, 2001 brought more questions than answers. I remember returning to the gym later that week and feeling guilty for being there. Some of my gym mates were not present and would never be seen again. The Island’s close-knit bodybuilding community had suffered a major blow on that day, as the deaths of several well-known iron men gradually became known. One of those brave men was a representative of the many that would make the ultimate sacrifice that morning. 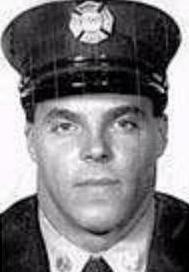 He was FDNY Lieutenant Eddie D’Atri (see photo). 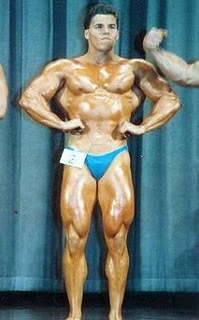 Eddie was a consistent and well-known Staten Island bodybuilder. He was a dedicated leader at Squad 1 in Park Slope, Brooklyn and was off-duty the morning of September 11th. Immediately upon hearing about the attacks, the former Mr. Staten Island champion made a courageous decision and rushed from his home in Staten Island to help his squad battle the towering inferno at the World Trade Center in Manhattan. Eddie D’Atri was last seen going up a staircase in Tower 1 to be with his fellow firefighters. Eddie D’Atri was always looking out for his men and putting his own safety last. I will always be saddened by the loss of Eddie and all those murdered that day and can only hope for a time when cultures and nations can live in harmony. At the 2002 Staten Island Bodybuilding Championships, local bodybuilder and FDNY firefighter, Jimmy White, talked about Eddie’s bravery. He also reflected on the more humorous times he shared with Eddie as well as the seriousness Eddie took towards bodybuilding. It was a heartfelt speech about a man that touched many lives in many ways, and none could be more deserving of such a moment. After the speech Jimmy White presented Eddie’s two sons, Anthony and Michael, with the Staten Island Bodybuilding Award in honor of their father’s heroic sacrifice. As all those in attendance stood in silence, Jimmy spoke about the other Staten Island FDNY firefighters that lost their lives. One by one, he announced their names as the tears flowed from the audience. It was one of those moments in Staten Island Bodybuilding history that brought everyone together in unity – the way it once was here on the Island – a long time ago.